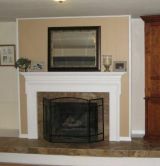 Newest fireplace remodels from people who bought our book. 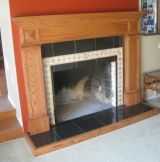 Are you ready to get rid of that dated fireplace? 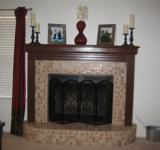 Home Bedazzle is a fireplace remodeling and refacing business located in Belmont, California and serving the San Francisco Peninsula. 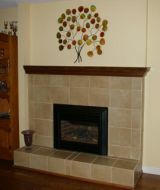 However, we are currently unable to take on new clients so we wrote a book on fireplace remodeling for those who wanted to do the work themselves. 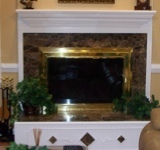 Please look through our galleries of fireplaces and custom cabinets to see our work, or look through the DIY fireplace remodeling gallery for additional inspiration. 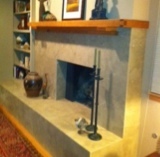 "The book was the only source I used, and I can't say how great it was! Best investment I ever made for under $20."